Here is the elected Club Committee and Leads for 2018/2019 to help you identify each individual, by clicking their name you can also e-mail them directly. 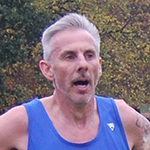 Rob has been running since 1990 and a member of Buckley Runners since 1994. As chairman, he is responsible for supporting all aspects of the club and ensuring that the best interests of the club and it’s members are followed at all times. He is also chair of the Borders league and a member of NWRAB. Sue Ridings Sue joined Buckley in 1997 after undertaking a “race for life” and has never looked back. She continues her role as Club Treasurer, where she is responsible for ‘holding the purse strings’. Her role involves all matters relating to income and spends within the club, this also includes providing financial reports and advising tracking activities requiring spend. 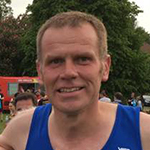 Dave Wooton Newly appointed, Dave’s in-depth knowledge of races, paces and distances will come in handy for his role as club secretary. Along with organisational skills and as someone who is always prepared to ‘put himself out’. As Secretary Dave is also responsible for the day to day administration of the club and is the link between the club and Welsh Athletics/UKA to ensure that we meet the requirements placed on us by the governing body. Alli Hunt As our Membership Secretaries, Becks and Alli are responsible for all matters relating to memberships. This includes processing new members, submitting and co-ordinating with Welsh Athletics, renewals and club transfers. Membership and Transfer forms can be found on our website, but if you have any queries, please contact Becks or Alli. 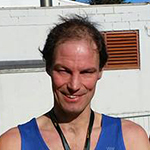 Eric Campbell Our newly appointed Development Lead has been running for years and has some excellent running achievements under his belt. This will, of course, come in handy for his new role which will involve managing the training within the club. Along with his team of ‘run leaders’, the aim is to ensure the framework allows all members of the club to develop. It also includes organisation, communication and safety of club training sessions. As Media and Publicity Leads, Arran is responsible for ensuring that the club and its members receive the widest possible media coverage. It is his duty to provide race reports, coverage and press releases to the newspaper and other media outlets. He is responsible for promoting all events, programs and competitions within the club’s area. In addition to this he maintains the club website, race calendar and all social media platforms. Claire’s detailed planning and organisational skills make her perfect for her role as the club Social Events Lead. 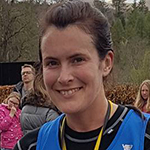 Claire is responsible for the organisation of none-running related events, club social events, annual meetings and fundraisers including location and managing costs. Our very own ‘running machine’, Winning races is something Jez does regularly. He is so supportive and unassuming but at the same time a hard worker, all good traits for our Male Safeguarding Officer, which involves him being there to protect the welfare of our members. Please see the specific Safeguarding page for more details. Newly appointed in the role, Tracie will work alongside Jez. She will also be responsible for being there to protect the welfare of our runners. Please see the specific Safeguarding page for more details. He will often be found at the front of the pack, with his relaxed and smiley happy running style, ‘Cally’ just makes it look too easy. He is very sociable and straight talking, which will come in handy for his role as Men’s Captain. Here he will be responsible for rallying and rounding up the men for club races, or ‘herding cats’ as it’s otherwise known. 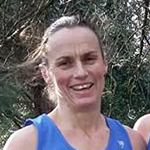 Our very own Triathlete Ceri has only been with the club for a couple of years, but in that time has really made her mark as a regular in the Ladies teams for Borders and XC. She is very passionate about seeing a good representation from the Ladies at our races and as such will be leading the charge as our Ladies Captain. Here she will be responsible for rallying and rounding up the Ladies for club races. Lisa originally started running for general fitness then set the target of doing a half marathon. She started running with Buckley for company on dark evenings and the support she received was so amazing, she joined the club shortly after. Since then the more she has been involved with the club, the more she wanted to be involved. She has loved seeing her performance improve with help from other members. 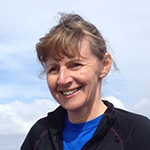 In her role as vice captain she wants to encourage new runners and new members. Phil is Race Director of our Borders League race. This means he is responsible for not only organising the race, but also ensuring everything runs smoothly on the day. 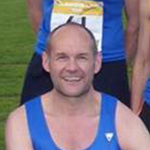 Karl has been running with the club since late 2015 and enjoys running the trails, fells, roads and country in a Buckley vest. As the Buckley XC Rep Karl will be the club representative at the North Wales XC League AGM, communicate fixture details, coordinate/validate results and compile XC race reports. The cross country season runs from October to February with five league fixtures and a regional championship. Karl is keen to get people involved in the XC scene as it is challenging, enjoyable and can benefit greatly by helping to build strength and stamina. Any questions relating to anything XC please do not hesitate to approach Karl. 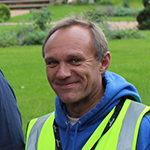 In addition to his role as Safeguarding Officer, Jez is also our Fell & Multi Terrain rep. He is a great ambassador for off-road running and can often be found flying up and down the hills and trails in the area. If you have any quesries about Fell or Trail running, Jez will be able to try and answer it. Eric Campbell On top of his development Lead responsibilities, Eric is also our Borders League Rep. This involves acting as point of contact for all matters Borders League, as well as attending the AGM representing Buckley, ensuring all runners wishing to participate understand what is involved. In addition to his role as Vice Men’s Captain, Dave has also kindly offered to take on the role of Club Championship Lead. Here he will be responsible for ensuring the Club Championship is updated with races for 2017 and then calculating and updating the scores on a regular basis. 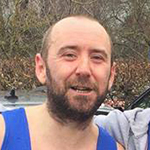 Tim Started running 2008 when he entered his first race, the Flintshire 10K, after 3 marathons and many halves he found his way to Buckley (after being forcefully persuaded by Chris Callaghan). 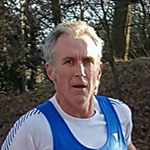 Having taken part in many club races he is well suited to his new role of supporting Dave with collating all results from the many races Buckley Runners attend from 1st May to 31st April each year.